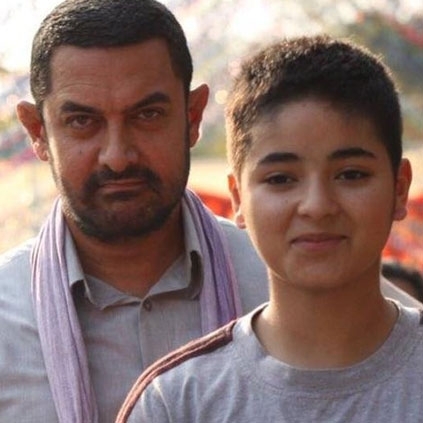 Actress Zaira Wasim, who played a prominent role in Aamir Khan’s smashing blockbuster film Dangal allegedly met with an accident in Jammu and Kashmir on the 9th of June (Yesterday). She was apparently traveling in a car along with her friend when the driver lost control of the vehicle. Supposedly the car jumped over the footpath and hit the parapet along the lake on Boulevard Road on the banks of Dal Lake. Zaira escaped unhurt however her friend faced several injuries. Woah! Thaana Serndha Koottam to have these many songs? Wow: Why did Ranbir Kapoor demand money from Shah Rukh Khan? After the blockbuster success in India and China, Dangal to release in this country! A big banner for Nayanthara and Hiphop Tamizha! People looking for online information on Dangal will find this news story useful.